I have some more exciting news though, as well! Modcloth's 'Style Gallery' hit its one year birthday the other day--over 14,000 pictures have been uploaded and it's gotten up to 4,000 users. It's been awesome to be apart of this community and I've found so many new, inspiring blogs because of it. They named the top 10 contributors and I am honored enough to among that ten! Not only that, but $1,000 was donated in my name to the Dress for Success Charity through this honor. Modcloth just blows my mind every day with it's sense of community, ability to do good, creativity, and just general inspiration. So proud to have $1,000 donated to charity because of me! Check out the feature and others honored here. 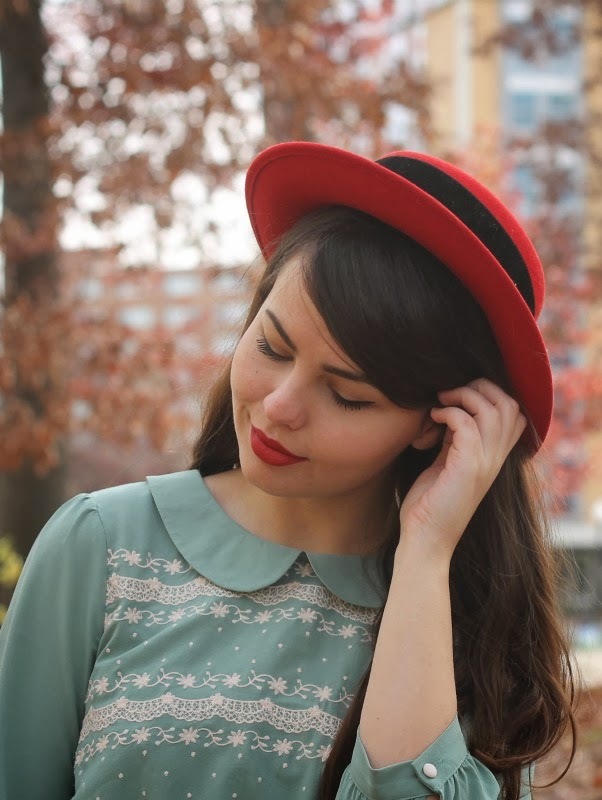 Also, Modcloth is having bloggers put together polyvore sets with items from their new new private label. I was given the 'Coach Tour Dress in Noir' to style up with other Modcloth pieces. 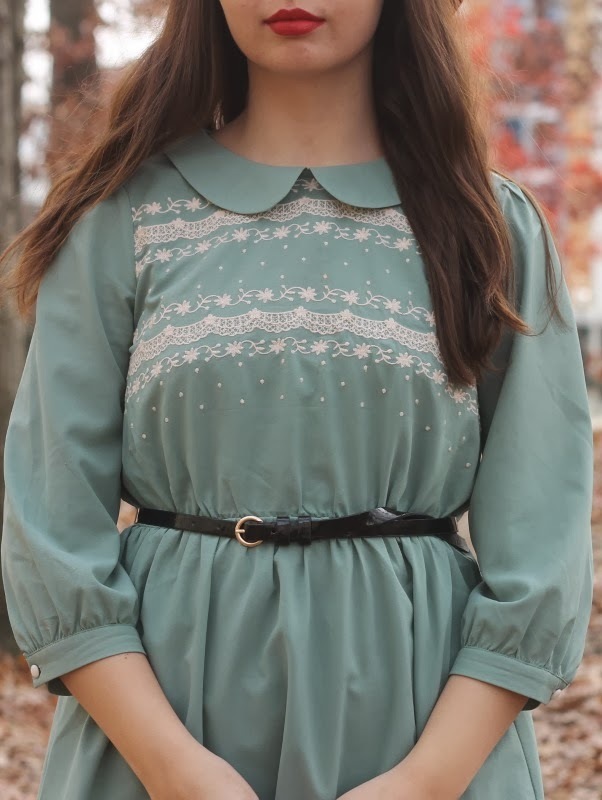 I thought it would be perfect with a warm, comfy, fair isle sweater thrown over top with tights, socks, and oxfords for a casual fall day look. Now if I could only find a quaint little trail to walk through like this one I would be set! Yes, red does go with everything! Especially this adorable blue dress. This whole outfit is absolutely perfect. I love that shade of lipstick on you too. This dress is so cute, i absolutely love it! I really love that hat! I want a similar one, but perhaps in a plum or black. I know it's a bit odd to say in a random comment on a random post, but I truly enjoy reading your posts. The post you wrote a while back where you mentioned journaling actually inspired me to pick up the hobby once again. I used to journal every night--I began my first one when I was seven and could just barely put my day into words. Thanks a bundle for that. You look so sweet on the pictures! 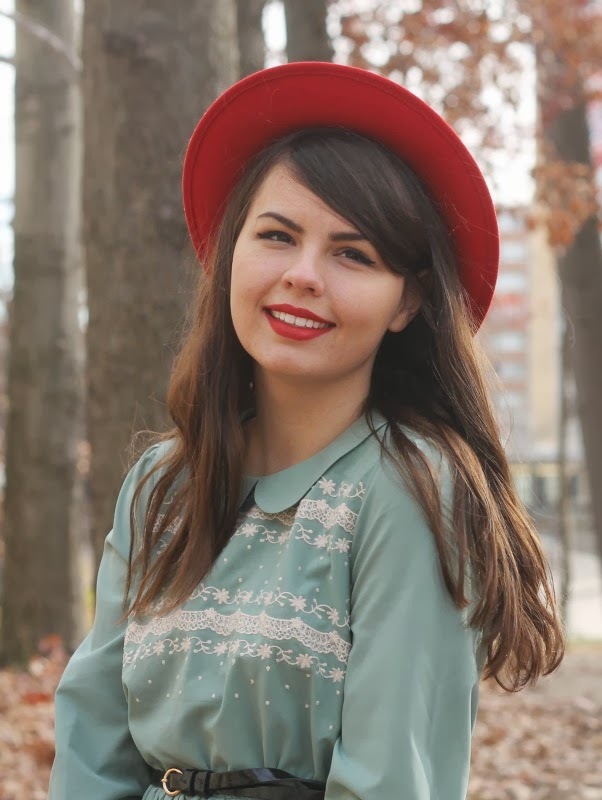 The red hat goes so well with your dress! It looks so pretty! This dress is honestly stunning. It seems so much your style and it looks beautiful on you. 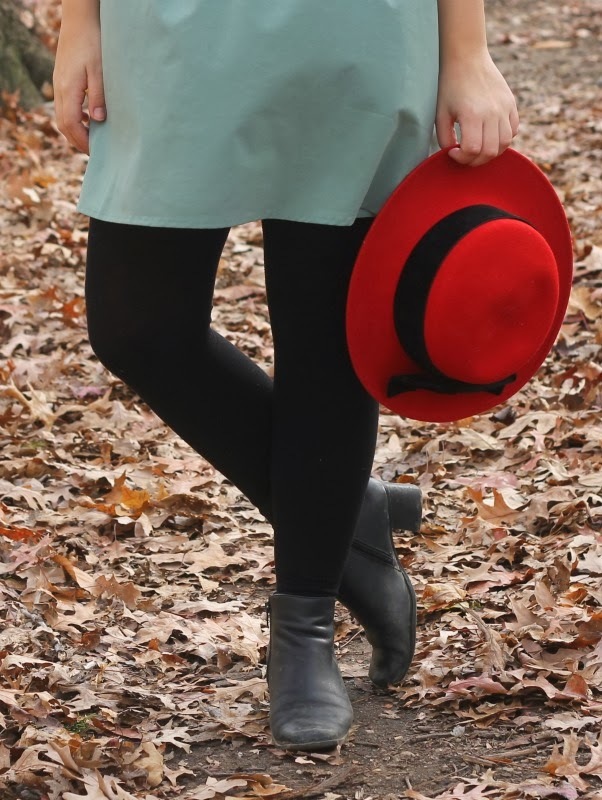 I love this dress so much and the red hat adds the perfect burst of color! Also love the outfit you styled for the Polyvore challenge :) Congrats on being a part of that generous donation! I love this dress, Lauren! Also: I'm super impressed that you find the time/the will to take outfit photos when you're at college! I can only really take them when I'm at home!